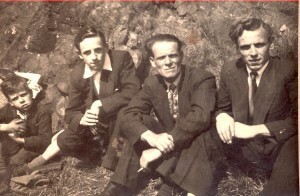 The Quilietti family are connected to the Sutherland’s through the marriage of Helen Rose Quilietti to Denis Madigan Stanton. Mary’s father James or Jamie Sutherland was born in 1877 in Orchardfield Lane, Leith Walk, Edinburgh. Jamie was one of seven children, . He was born on 21st February 1877 and was the survivor of himself and his twin sister Jane. Living conditions were not easy then and the Sutherland family who numbered many had to wheel and deal to find a living for themselves. Jamie from an early age was put into one of the very first Industrial Schools in Scotland. It was called the Edinburgh Certified Industrial School for boys and we would now call this a Remand Home for boys. This particular home later became known as Dr. Guthrie’s. 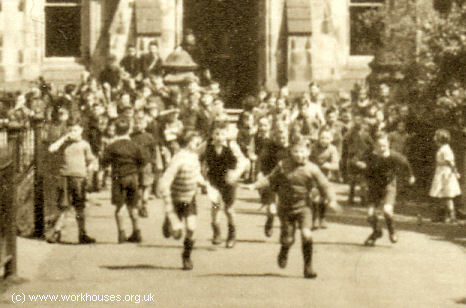 The school was situated in 1891 the Liberton area of Edinburgh. The school was run by a Matron called Isabella Robertson and her assistant Lizzie Dickson. In 1891 there was only one man living at the home and he was described as the Joiner. So these Matrons and their other four assistant Matrons would have had their work cut out for them I am sure! 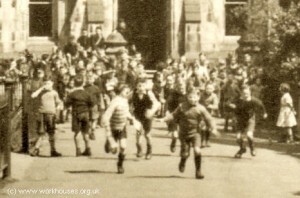 The home consisted of all boys and their ages are confirmed in the 1891 census as 13, 14 and 15 year old boys. 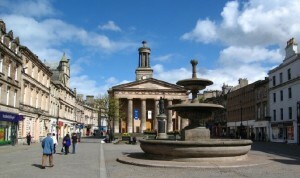 Jamie’s parents had left Elgin around about the year 1875 travelling down to Leith in search of work. The clearances had taken it’s toll on most of the Highland families. Even those who lived in the small townships found work hard to come by and many travelled down to the central belt of Scotland seeking employment where they could find work. Jamie’s parents were Donald Sutherland born 1833 in Fearn, Ross and Cromarty and Jane Gordon born 1841 in Alves, Moray in Scotland. 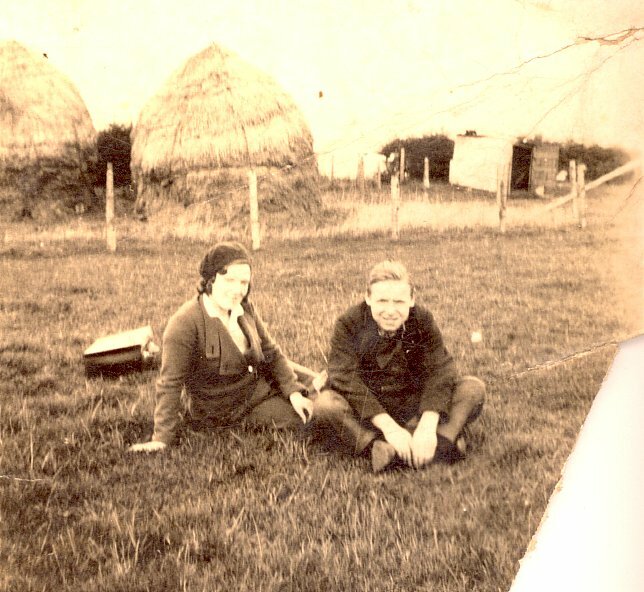 They married in Elgin on 26th April 1867. They had several children and Maggie, their eldest was born the day after they married. 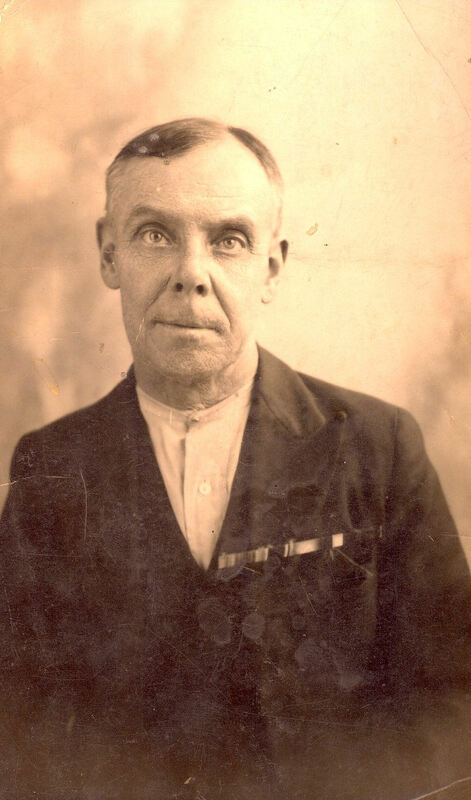 David Sutherland was born on 2nd November 1868 in Elgin. He married Mary Gordon Culbard in Abbeyhill, Edinburgh on 31st December 1890. They had at least ten children. David settled in Tillicoultry in Fife where he died in the year 1926. Jessie Ann Sutherland was born on 22nd August 1872. She died soon thereafter. William Sutherland came along next. He was born in Leith in 1874. James, our direct line was next. He was born on 21st February 1877 in Orchardfield Lane, Leith Walk, Edinburgh. His twin sister Jane unfortunately died on the same date. He married Elizabeth Colman on 28th May 1909. 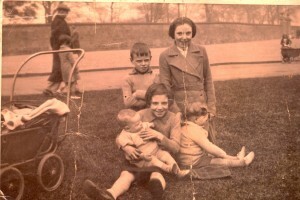 Jamie died in Greenside on 13th May 1956. Denis Stanton, his grandson, remembers visiting him in his flat in Greenside. He remembers a big bed chest which stood at the foot of his bed. 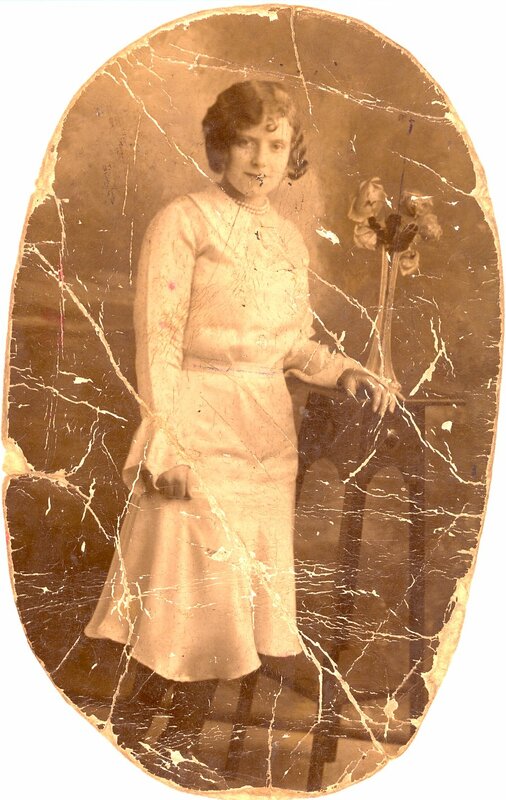 Jane Sutherland [named after her elder twin sister who had died] was born on the 13th July 1878 in Balfour Street, Leith, Edinburgh. After the death of her parents Jane was given over to Quarriers Homes. 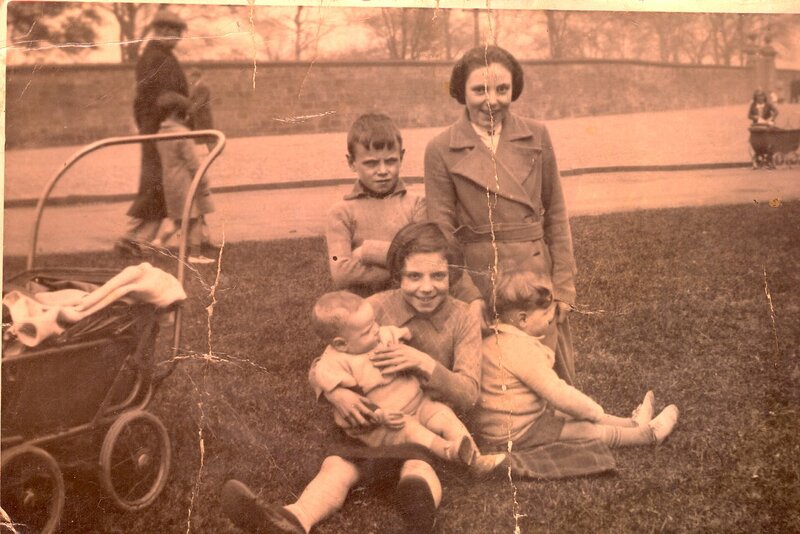 There is lenghthy information about Jane and her siblings which has been given to us from Quarriers Homes. It was dated January 25th 1894. Jane and Donald both had measles, whooping cough and scarlet fever. It was documented that David age 25 who lived at 9 Cranstonland, Docksland, Edinburgh, came along to the Home. It states that he is now married and has his own family and couldn’t help with looking after the two children. Margaret their elder sister  is doing well and can’t take on the responsibility of her siblings. Brothers, one  William is at present in Prison, one  James is in a reformatory. Their other sister Isabella  gets her living from Prostitution. Mr. Adam Black of Association for Improvement of the Conditions of the Poor wrote about the case and made application on behalf of the children, as also did Rev. Thos. Miller of St. Paul’s Parish Church, Broughton Road, Edinburgh. The children were brought by Mr. Black and brother into Quarriers Homes and brother David signed the form giving full control. The children were sent to Canada in May 1894. 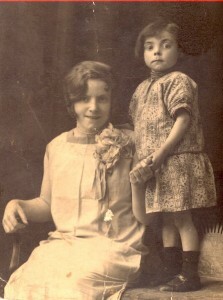 Their sister Jessie was not sent away but transferred to an orphanage in Glasgow. 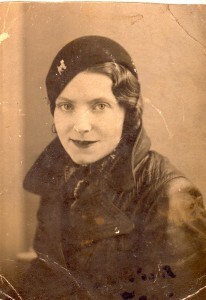 It was stated on the document that it was felt that the change to Glasgow would do her good as she was becoming too familiar with the boys in the Home. Here despite her heartache, Jane prospered and married in the year 1904 to Russell John Hopkins. They had three children. As far as we know she never saw or heard from her siblings again. Jessie Sutherland was born on 15th May 1881 in Quarry Hole Cottages, Easter Road, Edinburgh. She is the sister mentioned above who was not deported with her siblings but sent through to the Bridge of Weir Orphanage in Glasgow. She ran away from this orphanage and was found in Edinburgh. Mr. Black took her back to the orphanage but she refused to remain or do work and was accordingly discharged to married sister Mrs. Rennie 6 New Broughton in Edinburgh. She married James Griffin on 10th May 1901. They had at least four children. She died on 14th February 1922. After the death of her parents in 1891 and 1894 we are unsure of her fate and of how she evaded Quarriers Homes and being sent to Canada. Donald Sutherland was the youngest born on 6th January 1885. We believe that he was also sent to Canada with his sister Jane after the death of their parents. William Quarrier, born in in 1829, came from a poor Greenock family. He learnt a trade as shoemaker and eventually became a successful businessman and an active Christian. Wanting to help children sleeping rough on the streets of Glasgow, in 1871 he opened a night refuge on Glasgow’s Renfrew Street. He then raised funds to set up a cottage homes village for orphans at the Bridge of Weir in Renfrewshire. By the early 1890s, the Quarrier’s Village accommodated over 800 children and included 34 cottages, a school, and a church. Like Barnardo’s, Quarrier made use of Miss Macpherson’s organisation in sending children to Canada. The first batch, in July 1872, sailed on the St. David and were initially received at the Marchmont home in Belleville, Ontario. In 1888, Quarrier set up his own home “Fairknowe” in Brockville, Ontario. Of the total of 30,000 children that passed through the Quarrier’s Village, over 7,000 emigrated to Canada or Australia. SLike Barnardo’s, Quarrier made use of Miss Macpherson’s organisation in sending children to Canada. The first batch, in July 1872, sailed on the St. David and were initially received at the Marchmont home in Belleville, Ontario. In 1888, Quarrier set up his own home “Fairknowe” in Brockville, Ontario. Of the total of 30,000 children that passed through the Quarrier’s Village, over 7,000 emigrated to Canada or Australia. Peter Stanton with Davie and Jimmy Sutherland. At this time and for many years afterwards the people who lived in these rural areas lived in a Croft. A croft is a small agricultural unit situated in one of the former counties of Shetland, Orkney, Caithness, Sutherland, Ross-shire, Inverness-shire and Argyll in the north of Scotland, and held subject to the provisions of the Crofting Acts. A landlord may have many crofts on his estate. The rent paid by the crofter, except in fairly rare circumstances, is only for the bare land of the croft, as the house and any agricultural buildings and infrastructure are provided by the crofter himself. Since 1976 it has been legally possible for a crofter to acquire title to his croft, thus becoming an owner-occupier. He is legally required to live on the croft; otherwise he will be required to himself take a tenant. The average size of a croft is around 5 hectares, but some are only .5 ha while a few can extend to 50ha of land, plus a share in hill grazing which is held in common with other crofters in a township. Most crofts cannot support a family or give full-time employment, and their tenants have other occupations to provide the main part of their income. Many crofters have diversified into small-scale tourism and off-croft employment ranges from postman to policeman to lorry driver, doctor, teacher, haulage contractor, tele-worker or weaver. A croft is the name given to a low house in which the Highland tenant farmers lived. It consisted of one room for the people and one room (barn) for the animals. This arrangement, plus the low thatched roof, the low single door and one small chimney, made for warmth in the cold Highland winters. It also made for a very smoky environment inside as there was only a small chimney for the wood fire. This is why the houses were often called Black houses, owing to the black smoke stains inside. These living conditions adapted, as best poor people could, to the weather conditions also fuelled the idea that the Highlanders were merely savages. One of the main reasons given for the wholesale clearances was that these people and their farming methods had to be modernised. It left much to be desired as to how the landowners thought burning people’s houses and belongings and throwing them off the land was going to modernize their lives. But sheep made money and tenant farmers and tacksmen on the whole did not. In Sutherland 40 sheep farmers occupied land once worked by 15,000 people. In 1840 30,000 Highlanders were forced to move to Glasgow. 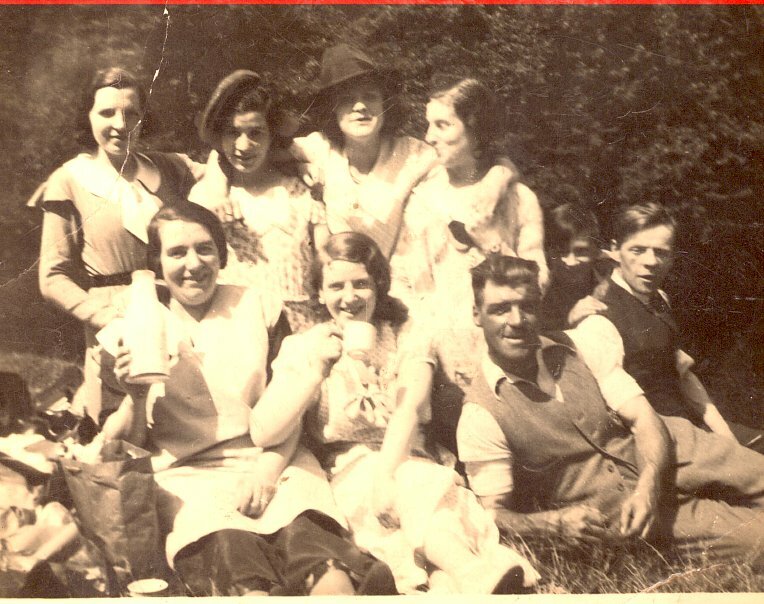 None of them spoke English (they spoke the Gaelic tongue), they had never seen a city. The only work they had ever done was to tend to a few animals and a small bit of land. they were forced overnight into factory work. In 100 years Glasgow’s population swelled from 42,000 to 477,700. The name of Elgin has also been dispersed throughout the countries to where the folks from the Highland Clearances found themselves. In the U.S.A. alone there are 20 towns in various states with the name of Elgin. There are three Elgin’s in Canada, one in Hong Kong and one in South Africa. This alone is testament to the highlanders who were put off their lands. Fascinated to read this. My great grandmother was Margaret (Maggie) Sutherland who married William Rennie. He was a carter and they lived at 9 Greenside Place in 1891 and at 19 Greenside Row in 1901. Maggie died aged 44 in 1912 at New Broughton. William Rennie died in 1933 at his daughter’s house in Albion road, opposite the Hibs ground. Interesting because of the Stanton connection. 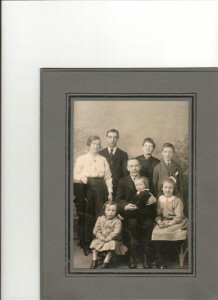 Maggie and William had 4 children, my grandmother, her 2 sisters and her brother who was killed in WW1 in 1918 aged 19. Their grandson, William Rennie Fox, the son of Isabella (Bella) Rennie, my grandmother’s elder sister, is still (2014) alive aged 100. They would have known one another I guess. Maggie Sutherland, my great grandmother, was the Mrs Rennie that Jessie Sutherland went to live with when she came back from Quarrier’s. When I was young my family and my dad’s sister and family all went to Greenside Church. 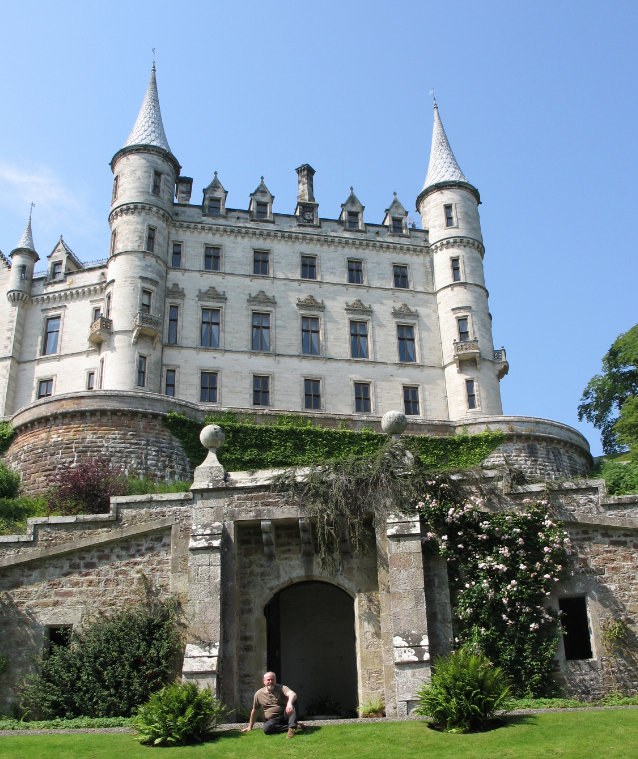 The Rennie’s also came from Morayshire. Lewis Rennie (Maggie Sutherland’s father in law) was born in Duffus and then moved to Elgin 1851 and to Edinburgh by 1861 but he went back to Elgin in 1863 to marry Betsy Smith who was born and living in Elgin. I wonder if the Rennie’s and Sutherland’s knew each other in Elgin as as you know Donald Sutherland and Jane Gordon (Maggie’s parents) were married there in 1867? I am in Edinburgh and my dad, 91, still lives here too. I have a photo of a man on a horse we think taken during the Boer War that we think is a Sutherland. You wouldn’t know anything about that? There was also a Sutherland uncle that my dad and his cousin remembering visiting. Are you in Edinburgh or Dublin? It is with regret that I must inform you that my grandfather, William Rennie Fox, passed away today Friday 20th October 2017 aged 103. An incredible, youthful blue eyed charmer till the last.